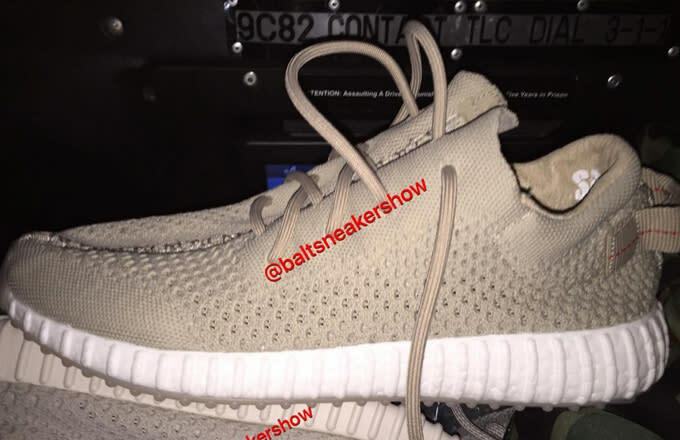 Just days after leaking a ton of new Yeezy Boosts, @baltsneakershow is back at it again with the first looks. This latest pair might actually be the most intriguing yet, as it features something we&apos;ve never seen before on the adidas Yeezy Boost range: a fully exposed Boost midsole. Previously, Yeezy Boost models like the 350, 750, and the recently unveiled 650 have been cushioned with encapsulated Boost cushioning. In other words, the Boost tech in other adidas Yeezy sneakers has been covered and supported by an outer layer of foam, whereas this new model goes all-Boost-everything for a setup that&apos;s more akin to the adidas Pure Boost or Ultra Boost. Details on these latest Yeezy Boost samples are scarce, but it&apos;s definitely enough to get us hyped for what&apos;s to come in the future. As of publishing, rumors point to the next Yeezy Boost release going down in June, although it won&apos;t be the pair pictured here.